The Jewish State in Formation Required Major Industries. 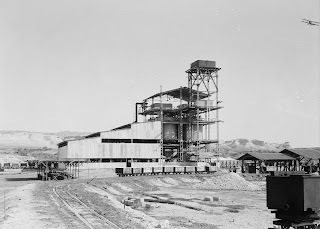 (c 1937). Note the airplane, upper right corner of picture. In the late 19th and early 20th centuries, the Jews of Palestine were employed in agriculture (oranges, wheat, dairy cows, etc) and small industries (textiles, edible oils, furniture, etc). 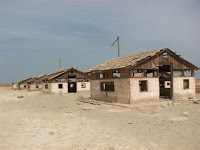 Dead Sea housing on the northern shore. shoreline has receded hundreds of yards. 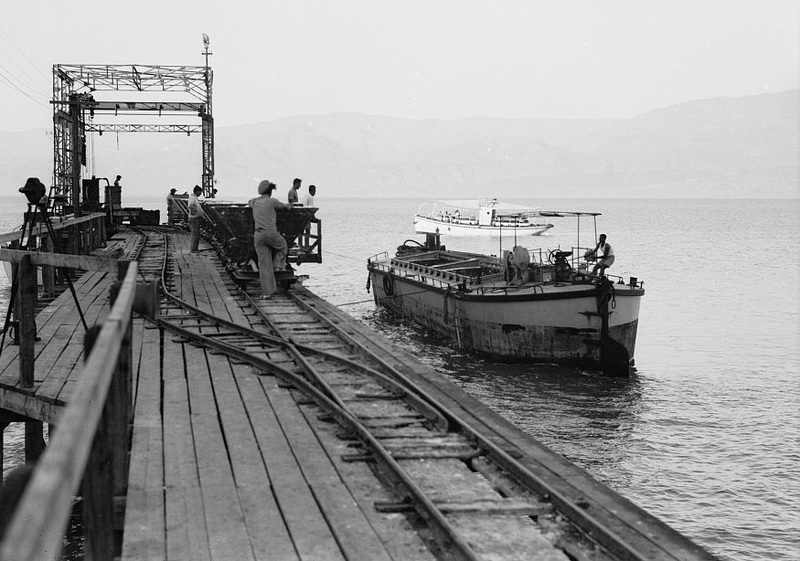 At the time, the only route to the Dead Sea was overland via the Jerusalem-Jericho road or by boat to Trans-Jordan. 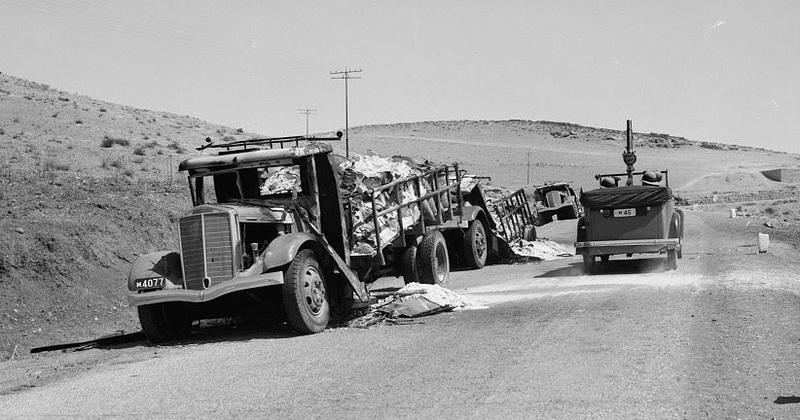 Potash mined on the southern shore was loaded on barges and shipped to the northern facility where it was loaded on trucks. 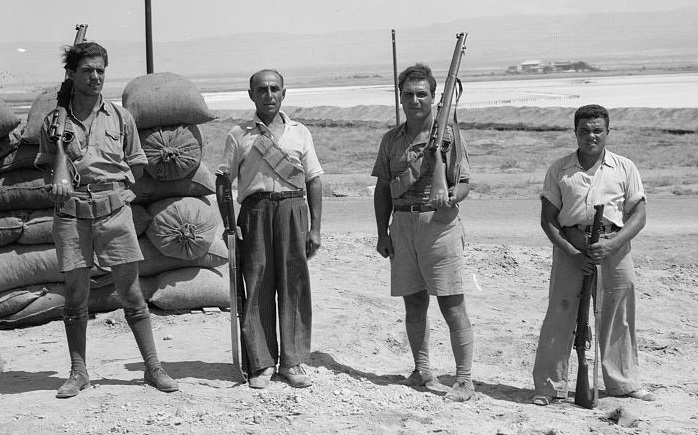 Until a workers' settlement was established in the north, workers traveled from Jerusalem. 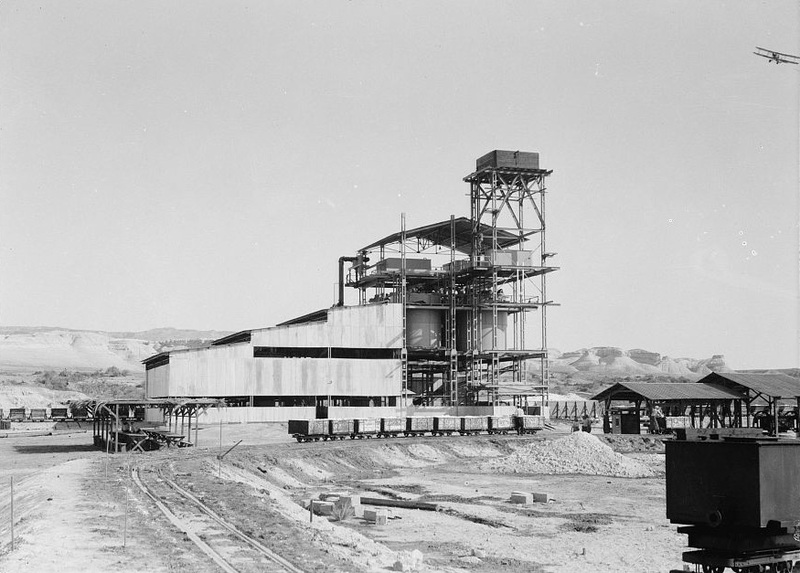 The potash company expanded to the southern half of the Dead Sea in 1934 where there was more area for evaporation pans. The area was known as Sodom. 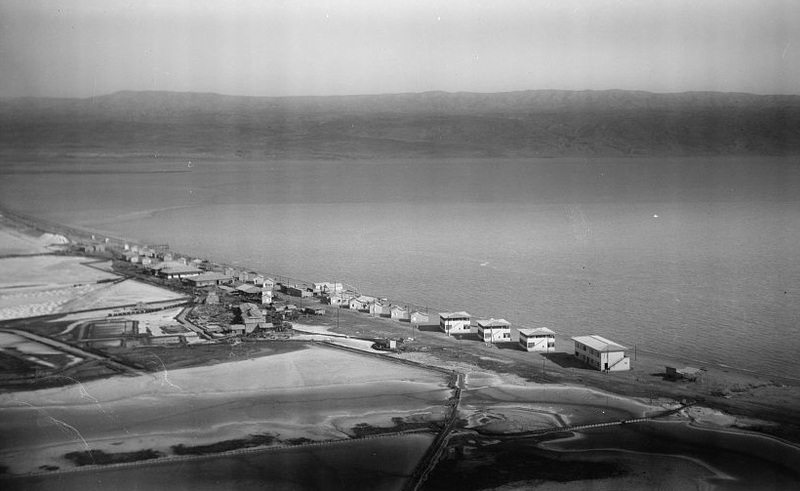 During the 1948 War of Independence, the Jewish workers of the Dead Sea facility in the north were evacuated. 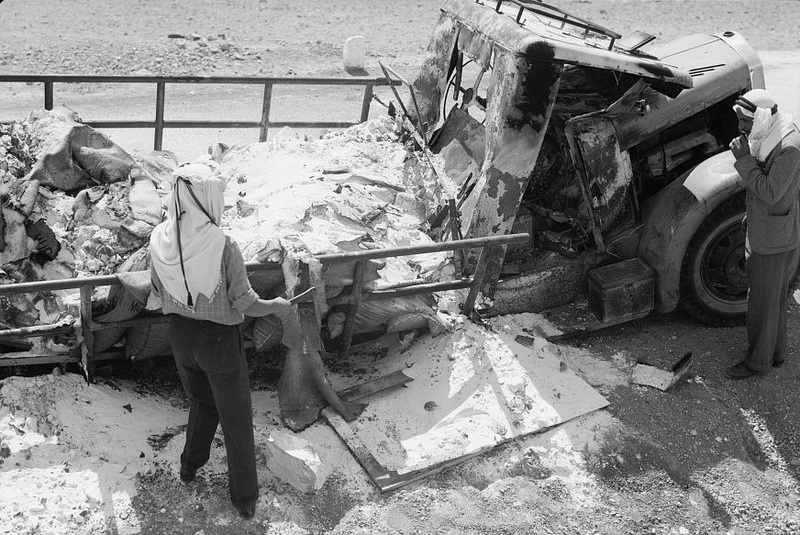 The site was looted and destroyed by local Arab and the Jordanian Legion. Today, the Dead Sea Works is part of the Israel Chemical Group which reported $1.3 billion in revenue in 2010. 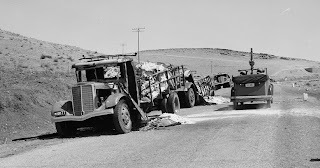 The historic photographs presented here were part of an American Colony album produced for the Palestine Potash Company, and some 90 pictures can be viewed in the Library of Congress files. 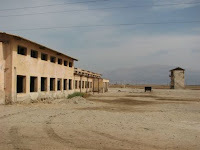 Michael Yaakovson visited the southern facility in 2009 and posted online an incredible collection of pictures of the abandoned camp. We thank him for permission to use some of his pictures.